This post is part of our family month, during which we’re exploring the wonderful world of family travel across our destinations in Asia. To read more hints, tips and stories from our staff and customers, visit our dedicated family page. Theme parks aren’t everybody’s cup of tea, but there’s no denying that they’re a hit with the kids – and Japan has an excellent haul of weird and wonderful ones. Though many of Japan’s theme parks closed down after the country’s economic bubble burst, the biggest and best weathered the recession to remain in operation today. You might not want to plan a whole trip around theme parks (like we’ve done here) but including one or two amusement parks in your itinerary is a sure-fire way to delight your kids and an excellent tactic for breaking up the sightseeing. Below is our whistle-stop (and certainly far from exhaustive!) tour of our favourite theme and amusement parks in Japan, so you can decide which is best-suited to your family. 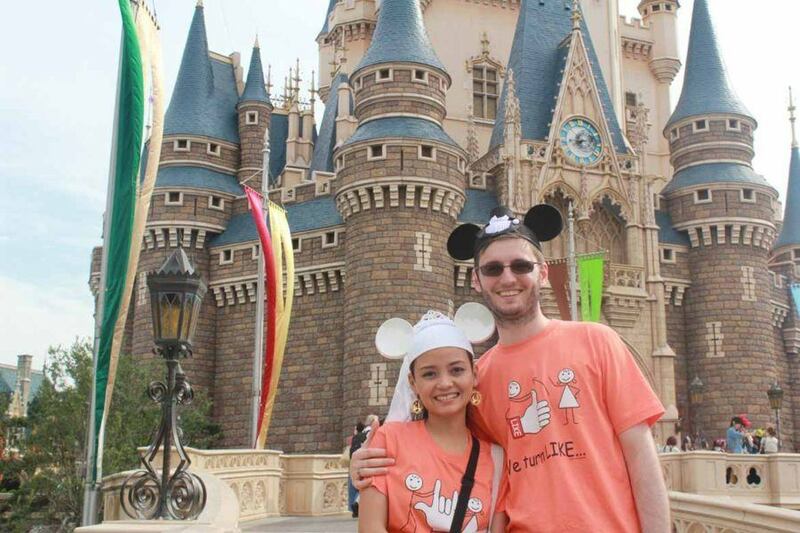 Tokyo has not one but two Disney theme parks: Disneyland and DisneySea. Disneyland is modelled on the original American parks, and was the first Disney theme park to be built outside of the US in 1983. DisneySea, meanwhile, opened in 2001 and is one-of-a-kind. Based on a nautical theme, it generally has faster and scarier rides than Disneyland, and is aimed more at adults and older kids. It has even become a popular romantic destination for Japanese couples, so expect plenty of fluttering eyelashes and mushy photo ops! 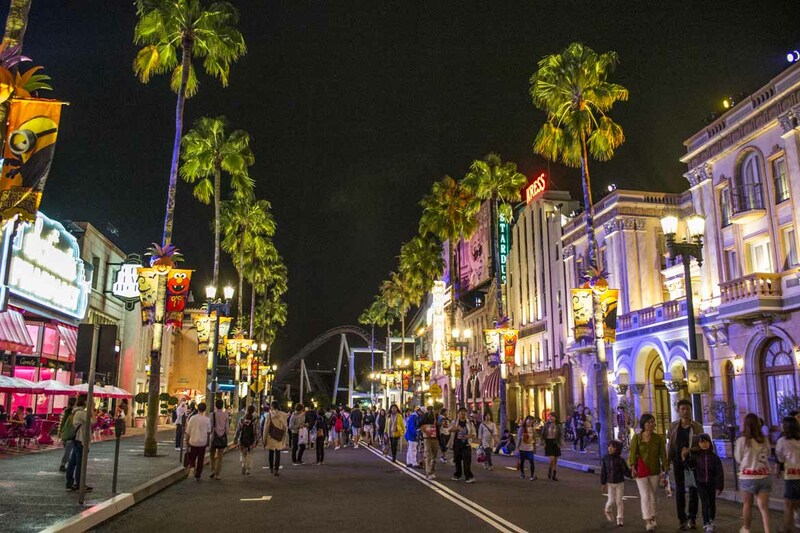 Universal Studios is located on the outskirts of Osaka, and opened in the same year as Tokyo’s DisneySea. Attracting 11 million visitors in its first year, it quickly became the most successful new theme park in history, and has continued to bring in 8 million visitors every year since. As well as paying homage to American classics like Spiderman, Jaws, and Back to the Future, Universal Studios also gives an insight into Japanese TV and cinema through attractions themed around One Piece (an immensely popular anime cartoon), Hello Kitty, and Nintendo (to open in 2020). Universal Studios is also known as the home of The Wizarding World of Harry Potter, which opened in 2014 and gives Potterheads the chance to wander around a meticulously recreated Hogsmeade Village complete with wand shops, joke shops and sweet shops galore. Watch the video below for a (slightly shaky) sneak preview from our Kate! Universal Studios is everything you’d expect from a well-established international franchise – not to mention a fantastic day out – but if you’re looking for something a little less slick and a little more kitsch, Toei Eiga Mura is just the ticket. Toei Eiga Mura (or Toei Movie Village in English) is located in Kyoto, and combines theme park with working movie set. Wander around replica Japanese streets from the Edo (1603-1868) and Meiji (1867-1912) periods, dress up as a samurai or ninja, visit the haunted house, and watch live-action stunt performances. And if you’re lucky, you might even get to see a real Japanese period drama being filmed! Located in the beautiful surroundings of the Fuji-Hakone-Izu National Park, Fuji-Q Highland is Japan’s premier rollercoaster theme park – constantly opening new, often world-record-breaking rides. Fujiyama, the park’s most popular attraction, was at one time the world’s tallest and fastest rollercoaster; Dodonpa is the world’s fastest accelerating rollercoaster; and the “fourth dimension” coaster Eejanaika (translation: “Hey, what the hell? !”) has the most inversions of any roller coaster in the world. The park is also home to various anime-themed attractions, one of the world’s scariest haunted houses, and various mazes and puzzle rooms. Though it has built its reputation on speed and fear, Fuji-Q caters to littler children too: it has mini roller coasters, a Thomas the Tank Engine themed zone (which my little brother would have killed to visit when we were young), a pirate ship, and various other gentler attractions to suit all ages. I’ve put it in the thrill-seekers’ category, but Nagashima Spa Land really does have something for everybody. In addition to the world’s fastest descending rollercoaster and the world’s largest wooden rollercoaster (just two of forty rides), the site near Nagoya is also home to one of Japan’s largest complexes of hot spring baths, a water park, a shopping centre and a flower park. An unusual combination, but it works. Day pass (rides included): Prices vary from 3,500 yen to 5,900 yen depending on which areas of the park you wish to use. Japan’s list of manga, anime and video game themed amusement parks is never-ending, so I’ve settled for just one of the biggest here. To find out more, read this post about our awesome video game tour of Tokyo – devised by our very own tour leader and otaku extraordinaire, Brett. Joypolis is an amusement park chain owned by the video game company Sega, and can be visited in Tokyo, Osaka or Okayama. Our favourite is definitely Joypolis Tokyo, which you’ll find on the futuristic-looking Odaiba Island, accessed via monorail over Tokyo Bay. As well as all manner of video games and simulators, the park boasts an indoor rollercoaster, a virtual forest that tells visitors their fortunes, a zombie zoo, food outlets and various event stages. 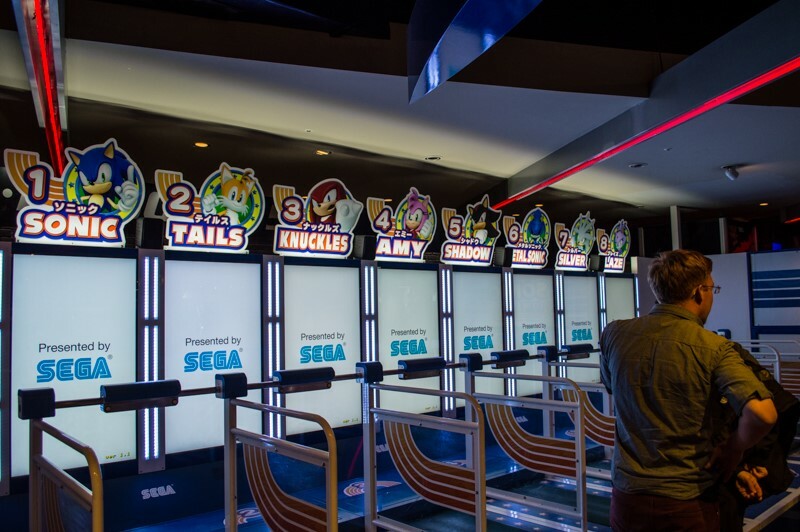 It is a veritable flashing and bleeping wonderland – whether you’re a bona fide gaming enthusiast or just a casual visitor. Day pass (rides included): 3,900 yen (adult); 2,900 (ages 7-17); Free (under age 6 or over age 60). Prices are cheaper in the evenings. The Meiji Period, spanning from the restoration of the monarchy in 1868 until 1912, ended Japan’s feudal era and brought it galloping into the modern age. For the first time in centuries, outside influences were allowed to blossom on Japanese soil, and the result was a flowering of technology and architecture with marked Western influences. 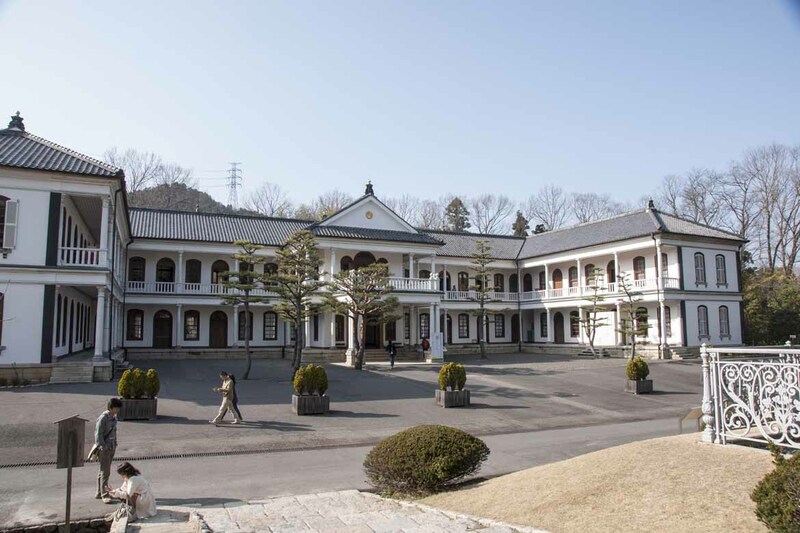 The creator of Meiji Mura, Yoshiro Taniguchi, sought out Meiji-era buildings that had been marked for demolition, took them down, and reconstructed them at the park site near the town of Inuyama. Today, you can explore sixty buildings ranging from a cathedral to a hotel, a prison, a telephone exchange, offices, hospitals, sake breweries and schools, conveyed by the park’s village bus, tram, and steam engine. To step back further in history, visit Nikko Edomura – or Edo Wonderland. The Edo Period (1603-1868) was Japan’s golden age, when the Tokugawa Shogunate presided over the country and the samurai class dominated society. Shut out from the outside world, Japanese culture evolved in isolation from almost any other influence during this period. 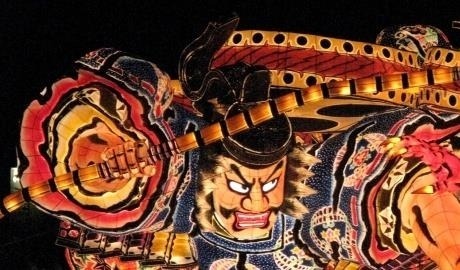 Edo Wonderland, appropriately located in Nikko – the final resting place of Japan’s first Tokugawa shogun, offers a fun and (mildly) educational way to revisit this fascinating period of history. 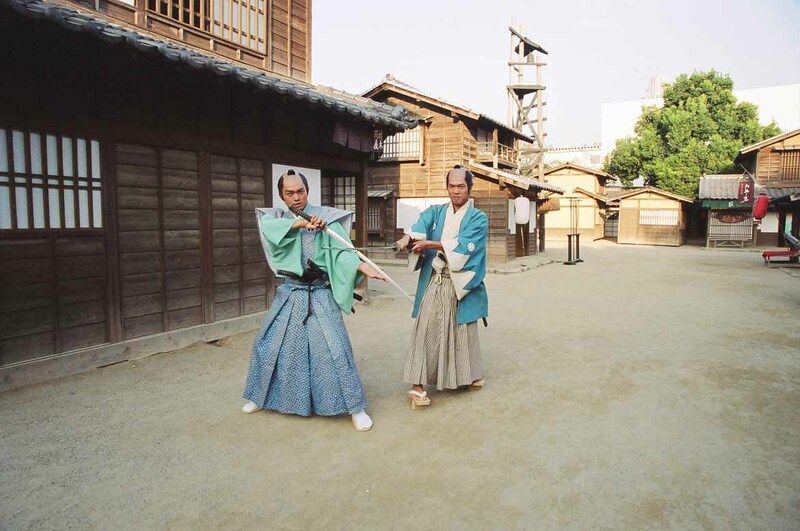 Staffed by characters from Japanese history, the park offers visitors the chance to dress up in period costume, have a go at Edo-period occupations, learn ninja skills and samurai swordplay, and watch performances of comedy, stunts, music and dance. Osaka SpaWorld is not just one of our favourite theme parks, but one of our favourite places in Japan full stop. This is traditional Japanese onsen (hot spring) culture meets 70s theme park – and believe us, it’s a match made in heaven. Birthday suits are de rigueur on the two onsen floors, and bathing areas are segregated for men and women. One floor is Asian-themed (think Balinese rainforests, Persian palaces, Islamic stone baths and Japanese cypress baths) while the other is European (think Greek columns, Roman statues, Finnish log cabins and the Blue Grotto of Capri). On the eighth floor there is also a kids’ swimming pool (intriguingly and rather off-puttingly named “Spapoo”) for children under high school age, and a bigger pool with slides for older kids. There’s also a food zone, a range of massages and spa treatments, an amusement arcade, hotel, gym, crèche, shops and television room – so if you wanted to, you could stay in SpaWorld for the rest of your life. 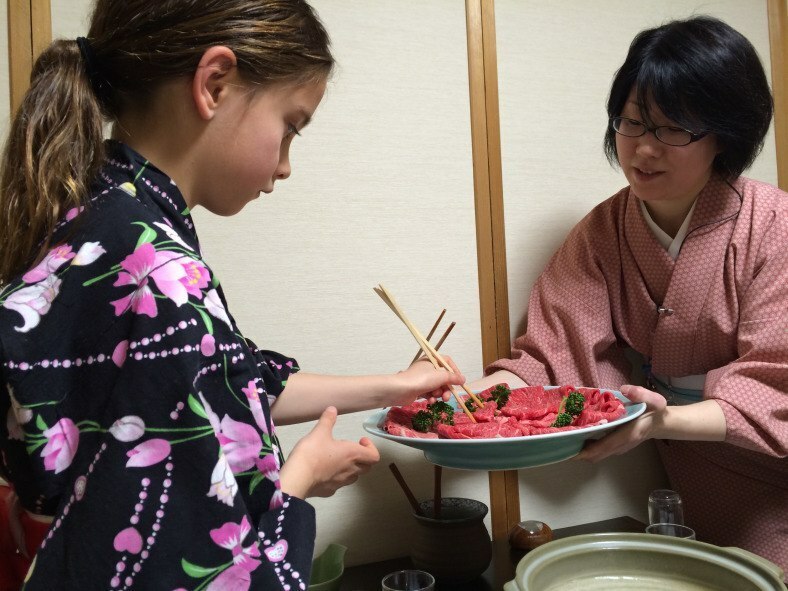 Day pass (onsen + swimming pool): 2,700 yen (ages 12+); 1,500 yen (under age 12). Three-hour pass: 2,400 yen (12+); 1,300 yen (under 12). Sanrio are the creators of the phenomenally successful Hello Kitty – a cartoon phenomenon that has become an emblem of Japan’s obsession with cute – or kawaii. At Sanrio Puroland, in the Tama New Town district of Tokyo, you can meet Sanrio’s most famous characters – including Hello Kitty, Cinnamoroll, Jewelpet and My Melody. In the summer there are fireworks every day, and all year there are performances, musicals, themed rides, gift shops, sweet shops and restaurants to enjoy (or be bemused by). Though all the performances here are in Japanese, for an insight into Japan’s kawaii culture, Sanrio Puroland is well worth a visit. Day pass: 3,300 yen (ages 18+); 2,500 yen (ages 3-17). Prices are slightly higher on weekends. You want weird? You could do worse than Namco Namja Town. Though it was founded by the former video game giant behind Pac-Man and Tekken, the park doesn’t focus on video games – rather, it’s a hodge-podge of giant cartoon characters, food outlets and amusements. Visit Gyoza Stadium, where you can try every kind of dumpling under the sun; stop at an ice cream shop where flavours include snake, horse, and curry; see the marvels of the deep at the aquarium; learn about the universe at the planetarium; meet anime characters and play a variety of arcade games. Day pass (including attractions): 3,300 yen (age 13+); 2,600 yen (age 4-12). At Tokyo’s KidZania, a self-proclaimed “edutainment town”, can be best described as a cross between a theme park and a careers fair. Doesn’t sound like much fun, does it? But it’s actually surprisingly entertaining. Set free in a miniature indoor city, kids get to don uniforms and try out a range of different jobs – from fire fighting and police work to newsreading, baking bread, and working in a beauty parlour. They are paid for their trouble in the local currency, Kidzos, which they can withdraw from an ATM and spend on goods and services. Though not all of the jobs at KidZania are fully explained in English, most of the “zupervisors” speak some English and will make sure that non-Japanese kids have a fantastic time at the park. Day pass (six hours): Prices vary depending on age, day, and time slot. From around 3,150 yen to 5,500 yen per child/adult. Reserve in advance. 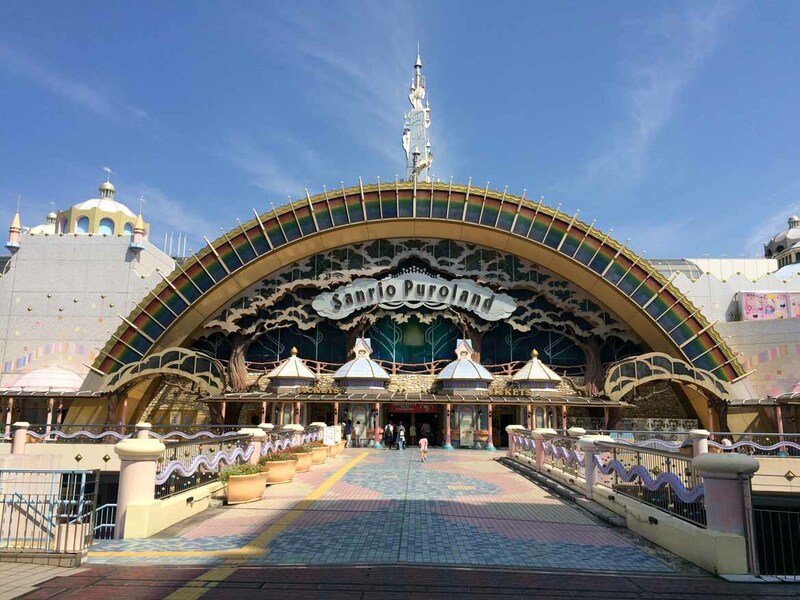 Opened in 1965 to celebrate the marriage of Prince Akihito and Princess Michiko (now the emperor and empress of Japan), Kodomo no Kuni (Kids’ Land) is an open-air theme park in Yokohama, within easy reach for a day or half-day trip from Tokyo. Spread out over 250 acres, the park has all kinds of activities, including farm animals, horse riding, a barbecue area, nature walks, rafting, a swimming pool, a skating rink, and a variety of arts & crafts such as pottery-making – making it the perfect choice for families of young children looking for a wholesome, outdoorsy kind of theme park experience. Day pass: 600 yen (ages 16+); 200 yen (ages 6-15); 100 yen (ages 2-5). The parks mentioned here are just a few of the best theme parks Japan has to offer – there are countless more waiting to be discovered! For more inspiration for your family holiday, take a look at our family page.